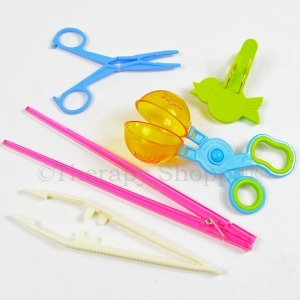 This neat skill-building kit contains 200+ vibrantly colored mini plastic shapes, a deluxe stringing lace, and a Skinny Mini Squeezer Tongs. 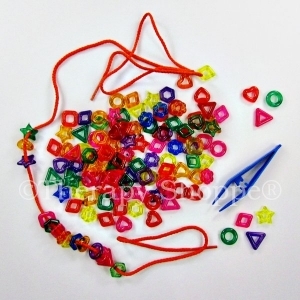 Sort them, count them, hide the colorful shapes in putty, or lace them on pipe cleaners... the possibilities are sky high! 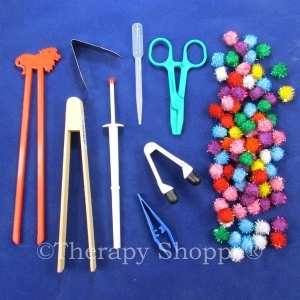 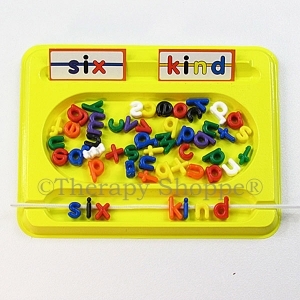 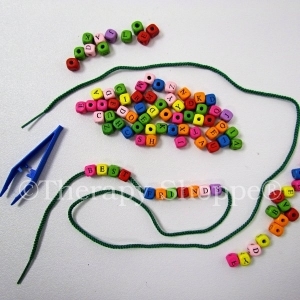 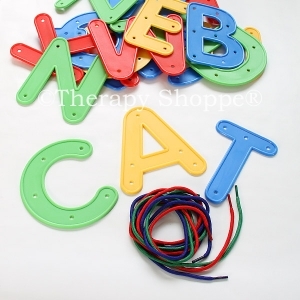 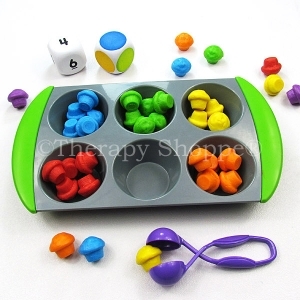 This kit is excellent for working on fine motor, bilateral, and eye-hand coordination skills. 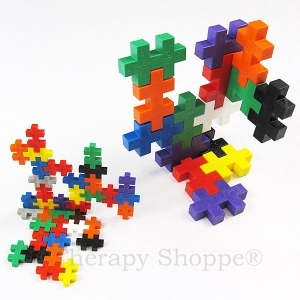 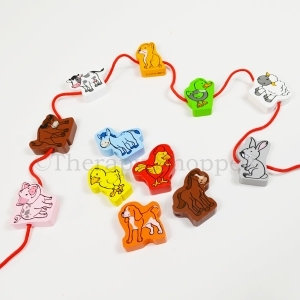 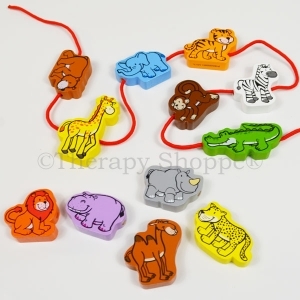 You'll find a ton of therapeutic uses for our exclusive Itty Bitty Stringing Shapes Kit that features 8 different shapes in 7 assorted colors.